Many recipes share their food history. Cultures and borders have crossed and intertwined since time immemorial. Unravelling its lineage is often most fascinating. Researching the origins of the wonderful comfort food called Irish Stew ( a simple hearty meat and potato dish) I happened to stumble across the interesting cross over of a French dish called Blanquettes; the very elegant French comfort food is pretty much the same, yet finished off with a silky egg yolk and cream rather than the rustic flour-butter roux and milk that is more typical of the Irish. Here is my version of the recipe definitely Parsi Food style! In a pan add the oil,meat and salt. Brown till the colour of the meat turns to a light caramel and the oils of the meat are released. Now add the grated onions,green chillies,garlic and ginger. Mix well. Add 4 cups of hot water, bring to a boil, cover and lower the heat and cook for 30 minutes. Add the potatoes, carrots and the pearl onions, cloves, black pepper and cinnamon stick. Cover and continue cooking for another 45 minutes. Check how much of the gravy has evaporated, if the meat, potatoes are very soft and well cooked. In a small bowl with a fork mix the flour and the butter, until it resembles little pebbles. Add this to the pot, stir well and bring to a boil. Allow it to cook until most of the water has evaporated and the gravy is fairly thick. Now add the cup of milk and mixing well allow the gravy to be nice and creamy. Serve with warm crusty bread and wonderful Irish butter. The green chillies and small pearl onions are an option. You may reduce the oil but not the butter nor the milk. You may need to add a tad more milk if you find the gravy to thick for your liking. Perfect for a cold wintry day it is a soul warming comfort food. 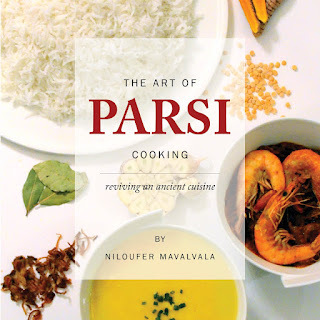 For origins, history and trivia of authentic Parsi Food my cookbook The Art of Parsi Cooking; reviving an ancient cuisine is available. Mahrukh Behrana Congratulations Nilu! 2 recipes I have used often are Irish Stew and Ras Chawal. The latter reminds me of my mum's. tastes exactly like hers. Thanks. Perfect Irish stew just like Mamma makes. Thank you.